Are you looking for quality, affordable shoe care products that are easy to use and that actually work? Do you want an online platform that offers useful tips and advice on how to take care of your shoes and make them more comfortable? Subscribe to Cobbler’s Best today and see what we have in store for you. 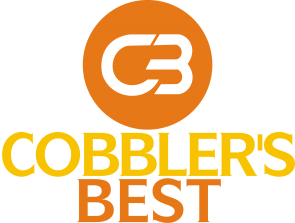 Cobbler’s Best specializes in helping people relieve foot pain caused by improperly fitting shoes or shoes that just don’t fit right. We feature some of the best products in the industry and provide useful tips on how to use them and get the most from what they offer. Serving the needs of men and women around the world, Cobbler’s Best focuses on providing helpful, easy to follow tips and advice and showing our readers how to relieve foot pain fast. Our mission is to deliver all three parts of great service- high-quality products, quick turnaround and useful, relevant advice. From the best walking shoes for women to the best workout shoes for men, shoe care and comfort tips and more, Cobbler’s Best has you covered. We help our readers find the best shoe care products for their individual needs as well as offering useful information about foot care including proper walking posture, how to make your shoes more comfortable by using a shoe stretcher and the best shoes to buy. We value our readers and work hard to ensure their complete satisfaction. Every time you visit our site, we will be there to answer any questions and to provide you with the best online experience possible. To learn more about Cobbler’s Best, contact us today and let one of our representatives assist you and answer any questions you might have. Be sure to follow us on Facebook, Twitter, Instagram and Google+ to become a part of the Cobbler’s Best online community.